Marini’s on 57 – Kuala Lumpur’s highest rooftop bar, Italian restaurant and whiskey & cigar lounge; each offering its own unique flavour. 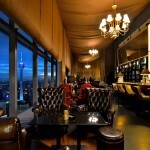 As you experience one of the best views over Kuala Lumpur, start the evening with our signature cocktails or wind down for the day with our premium selection of whiskeys and wines, before heading to our award-winning Italian restaurant to elevate your senses. 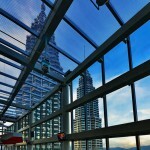 Marini’s on 57 – Malaysia’s highest rooftop bar, restaurant and lounge is located intimately close to the Petronas Twin Towers. 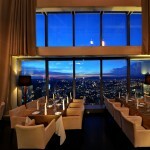 It offers the best 360° panoramic views of the Kuala Lumpur City skyline. 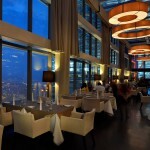 The venue comprises of three distinct spaces, each encapsulating different moods designed to enthrall all five senses. 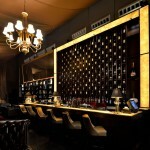 Consumers can indulge in Italian luxury dining cuisine before moving into the cocktail bar where our in-house DJs spin their magic; or onwards to the lounge, which houses the most extensive single malt whiskey, and cigar collection in the country. 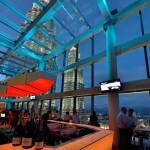 Drink, dine and relax the night away while you perch loftily next to Malaysia’s majestic Twin Towers, and enjoy spectacular views only Marini’s can offer. Sunset Hours are held daily from 5pm – 9pm, and W-Nights on Wednesdays is aimed at the celebration of women by women. With attentive and yet discreet service, Marini’s on 57 is unmatched and extraordinary at its best. Let Marini’s on 57 captivate your senses and leave you with the most unforgettable memories here in the heart of Kuala Lumpur City.